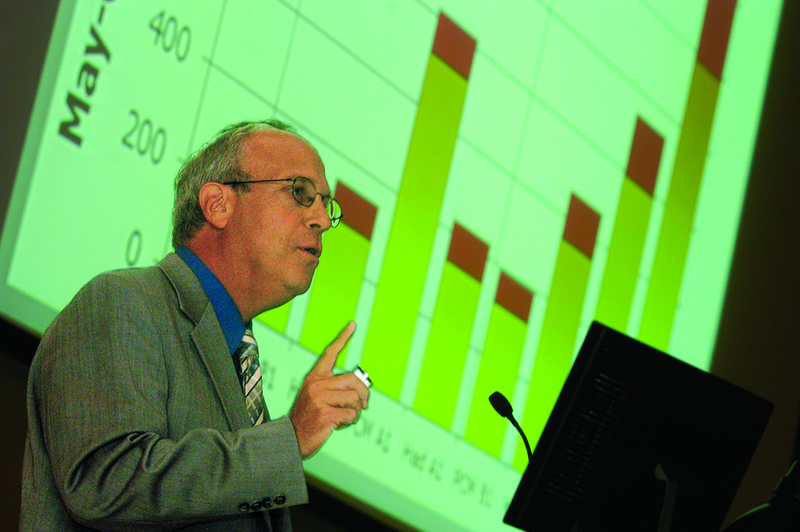 Bioclimatologist Larry Kalkstein studies the impact of weather and climate on human health, and strategies to improve conditions. It killed more people than died in its great fire of 1871. For three sweltering days in July 1995, Chicago endured one of the deadliest heat waves ever recorded in the nation, with a staggering 739 deaths attributed to triple-digit temperatures. Most of the victims were elderly and lived in Chicago’s poorest neighborhoods. Many were afraid to open their windows at night because they lived in high-crime areas. Larry Kalkstein, a bioclimatologist in the Miller School of Medicine's Department of Public Health Sciences, remembers it well. But could many of those deaths have been prevented had simple, cost-effective strategies, such as painting the roofs of buildings white, been put in place? Efforts to make cities more green, including cooling rooftops that normally attract heat, will help lower temperatures and result in better conditions for residents. Bioclimatologist Larry Kalkstein presents data on the impact of heat on human health at a symposium on the Miller School campus addressing climate change and its effect on humans. It is this strategy—increasing the reflectance of buildings and paved surfaces—that is the mission of the Global Cool Cities Alliance (GCCA), a Washington, D.C.-based nonprofit organization that works with cities, regions, and governments to speed the installation of white roofs and other cool surfaces to help alleviate some of the stress caused by rising global temperatures. Kalkstein, who studies the impact of weather on all things living, and his team at the Synoptic Climatology Laboratory work closely with the GCCA, conducting studies that have proven cool roofs and pavements help cool things down. Besides making more roofs white, other measures include laying reflective asphalt on roads and planting more trees. Heat, says Kalkstein, remains one of the leading weather-related killers in the United States. But surprisingly, it’s not the intensity of the heat that kills, but its variability. “The places that are most susceptible to heat-related deaths and illnesses are not cities like Miami and Phoenix, where the weather is always warm, but places like New York, Philadelphia, Toronto, and Chicago, where you have days in the 80s, and then all of a sudden you get one of those heat waves where it’s 100 degrees for a week. And that’s what kills. People, especially the elderly, are vulnerable and unprepared to deal with it,” he says. Working with the National Oceanic and Atmospheric Administration's National Weather Service, he has developed heat-health warning systems for more than two-dozen municipalities in the U.S. as well as major cities in South Korea and Italy. The systems are similar to an emergency notification network, alerting the public via radio, television, and online broadcasts whenever a potential deadly heat wave is headed their way. Utility companies in some cities are using his heat-health warning systems to decide when not to implement power disconnection policies.